Oregon Shepherd was able to be a part of a great remodeling project last year. 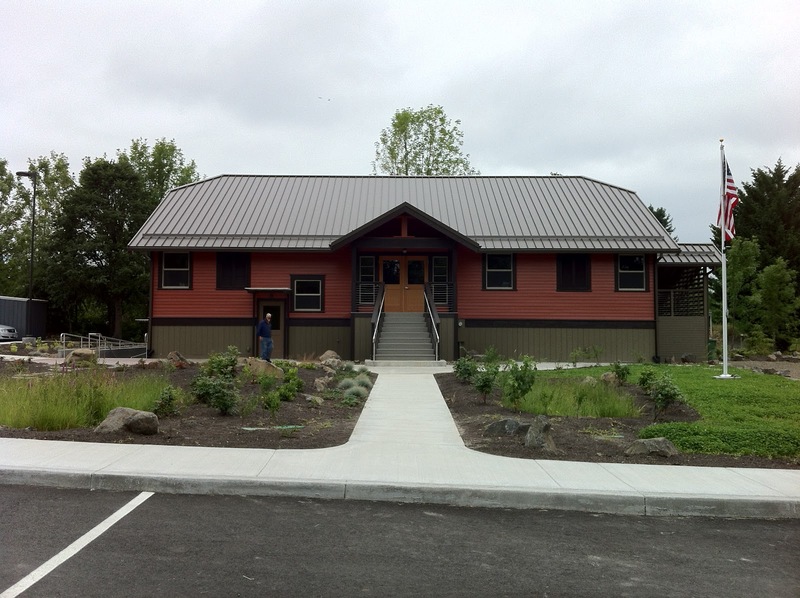 The Columbia Soil and Water Conservation District (CSWCD) needed a new home. Their search led them to a building in St. Helens, Oregon that was originally a school and most recently home to a Grange. So rather than build a new structure the CSWCD took on the challenge of restoring an old structure with the help of AKAAN Design. The renovation incorporated many sustainable design features including Oregon Shepherd 100% all natural wool insulation. Some of the other green features are a high efficiency heating system and light fixtures with occupancy sensors, on demand hot water, low flow plumbing fixtures, carpet made from 100% recycled rubber tires,and resin wall panels of 100% recycled plastic bottles. Outside you find rain gardens and native plantings to filter rain water runoff. The building renovation respects the historic character of the building but adds contemporary elements. It is always a pleasure to work with the folks at Balanced Energy Solutions in Portland, Oregon. We accompanied them to an install of Oregon Shepherd's PermaLoft insulation a couple of weeks ago and would like to share the experience with all of you. It was for a wonderful home in the Portland area which is being restored by the homeowner. The home is over 100 years old and looks fantastic. It is great to see our product in action and we appreciate Amy and Gregg letting us take some photos of their crew at work. They do a terrific job installing. Doesn't the attic insulation look great? And it will be a real energy saver for this home. Wouldn't you like to see this in your home? It sure will keep things cozy this winter. 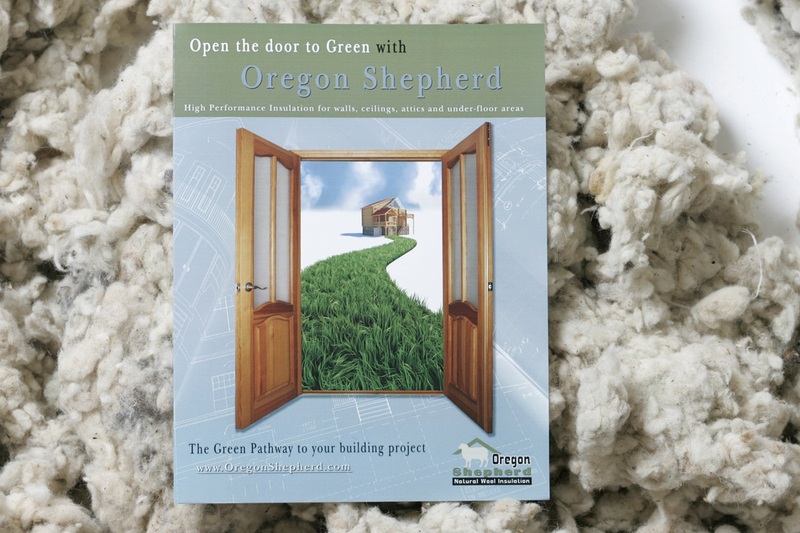 Oregon Shepherd manufactures 100% all natural wool building insulation in Rainier, Oregon. Oregon Shepherd was started by two sheep producers that were looking for alternative uses for their wool. We spent a great deal of time researching products from around the world. We found that wool insulation is manufactured in many countries, but not in the U.S.A. So we set about creating a loose fill wool insulation product from our own wool and from wool raised in the U.S.
Now is the time of year when many of us start thinking about staying warm in the winter and getting out those wool sweaters that have been packed away. With PermaLoft wool insulation you can have a wool sweater for your house too. We would love to talk to you about the advantages of wool. You can find us on the web at www.oregonshepherd.com or call us a1-888-629-WOOL (9665).